Yahoo CEO Marissa Mayer and Scott Burke, SVP of Advertising Technology, presented Yahoo’s new advertising plan at the Consumer Electronics Show this week. Yahoo is doing an overhaul of its platform to make the system more self-service to users and create higher quality ads. Ever since Yahoo’s acquisition of Tumblr eight months ago, users have been waiting for the ball to drop. Some Tumblr users still expect to log in one day and find a purple dashboard with emoticons everywhere. Yahoo has been slowly making changes to its interface in the past few months so as not to anger this picky audience. For example, in October they changed the search results to highlight related blogs and reduce scrolling. Tumblr users rejoiced. Then a month or so later they added search ads in the top right hand corner with external links. It was a small, subtle addition. Back in April, Tumblr launched Sponsored Stories, and one of the first ads was for The Great Gatsby, a movie that already had a large Tumblr following. Most users didn’t realize it was an ad in the first place. Tumblr has emphasized content with its Sponsored Stories. Brands that direct traffic to their blogs (when they are already full of engaging content) do well when purchasing Tumblr posts. More so than the pace of change, the quality of the content has been the real reason behind Tumblr’s ad success. Tumblr Sponsored Posts, Yahoo Stream Ads, and Yahoo Image Ads all offer native advertising through the new Yahoo system. The ads are a more natural, seamless part of the reader’s experience, leading to higher impact for advertisers. Social Media Bulldog joked that Yahoo and Tumblr users have been begging for more ads (not), but if done right, these updates shouldn’t be too invasive. With the new ad management system, success or failure rides on the content. The Yahoo Ad Manager is giving more power and more options to its advertisers. It’s increasing the self-service nature of Yahoo ads. The two main focuses are targeted audiences and analytics. Marketers can better target audiences and demographics for campaigns and study the insights to see where they can improve. TechCrunch spoke to Burke about why Yahoo wanted to overhaul its ad platform and he said that marketers believed the ad ecosystem was too cluttered and needed to be cleaned up. Yahoo and Tumblr seem to understand what Facebook still hasn’t figured out: instead of offering more and more ads, offer fewer ads but with a higher quality. Facebook keeps increasing the presence of ads – more on the side, now with video – in an effort to increase its revenue. 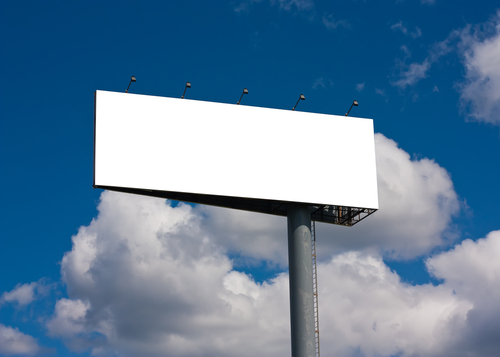 This causes more banner blindness in consumers and decreases effectiveness. Facebook has really become the left-behind social network. Pinterest and Instagram have followed the suit of Tumblr and integrated ads seamlessly into their content. Many marketers have commented that they stopped at an ad to see if they were following the account and were surprised to see that it was sponsored. If marketers – who are trained to spot ads – are doing double-takes, then the average user must be comfortably viewing them as well. Marissa Meyer has been trying to turn Yahoo around for two years this July, and by incorporating native advertising early-on, she’s well on her way to success.